There’s a heartwarming sense of triumph and arrival which emanates from the backstory to those words from Finnish pianist Alexi Tuomarila. Early in the ‘noughties’, Tuomarila and his quartet were flying high and recording with Warner Jazz France (most notable, their excellent 2003 album 02) when suddenly the label shut down their jazz and classical department. Here was a prominent European jazz ensemble without the proverbial paddle… or so it seemed. In the intervening years, both Tuomarila and saxophonist Nicolas Kummert continued to independently develop their craft through regular touring, and perhaps there was an inevitability about them not just crossing paths in the future, but once again kindling the spark of their creativity. Now, following Edition Records’ 2014 release of Alexi Tuomarila’s engaging trio album Seven Hills, and encouraged by Edition, the quartet have reconvened as Drifter; former members Tuomarila and Kummert join again with drummer Teun Verbruggen and welcome bassist Axel Gilain to the fold. There’s a smile-inducing mystique about this quartet’s combined output which can be difficult to nail. Certainly, the instrumentation is familiar – but perhaps the best explanation is that there is both strength and balance achieved through the co-leadership of pianist Tuomarila and saxophonist Kummert, buoyed by the varicoloured rhythmic skills of Verbruggen and Gilain. Persistent up-front soloing is not Drifter’s way. 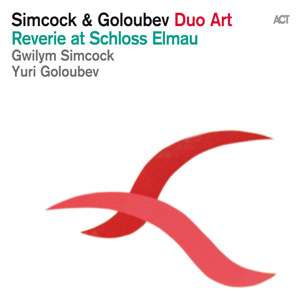 From this near hour-long collection of eight originals, plus one arrangement, opener Crow Hill reveals the aforementioned parity as piano and sax become almost conjoined in the melodic spotlight; and when Tuomarila eloquently breaks loose, Kummert responds up through the gears, his verbal tone redolent of Joshua Redman or Mark Lockheart. 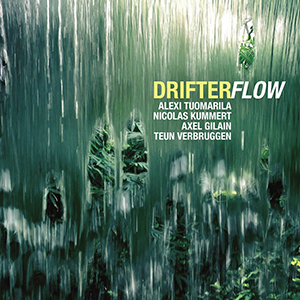 Tuomarila’s dual trademark is found in The Elegist which grooves to his deep chordal impetus, yet also produces effortless high piano lines which sail as purely as fast-moving cirrus; and, taking Axel Gilain’s high ostinato bass hook plus Verbruggen’s bristling percussion, Harmattan provides greater extemporised freedom for piano and sax. Drifter’s sound world is beautifully accessible, with the added complexion of a few vocal tracks (as in the 02 album’s Bone-Yard Jive). But rather than offering extensive lyricism, the quietly harmonic voices of Kummert and Gilain are employed more instrumentally through repeated phrases which, in Lighthouse, cleverly pictorialise its dark, lilting momentum (“I’m looking for a lighthouse”); and with more of a rock inflection than jazz, the effect is quite distinctive. Nothing Ever Lasts (music by Tuomarila, words by Gilain) feels particularly anthemic, its solid folksong-like motif carried through into a memorable vocal exultation, with Kummert’s sax hinting at Garbarek. The grungy, wailing, jazz/blues of Breathing Out My Soul becomes knee-tappingly infectious. With only a simple, repeated, unison vocalisation of the title, a wonderfully pliant bass motif sets up stand-out piano from Tuomarila against the thrashing of Verbruggen’s kit; and enticing rhythmic changes invite Kummert’s sax to overflow in improvisation – quite unlike anything out there at present! Gilain’s Toueï is delightful as it gently pirouettes around the bass – and, as throughout the album, themes and rhythms regularly metamorphose with entertaining unexpectedness. The concept of covering a rock/pop hit such as the The Police’s King of Pain might well come with a warning – but Tuomarila unlocks its hidden dance qualities so remarkably that it becomes its own idea, with the lyrics of Sting’s original soon forgotten amidst its driving energy. And to close, Vagabond combines the compositional Englishness of Tim Garland with Svensson-like piano explorations – a resounding, dizzying climax. Alexi Tuomarila’s belief that this quartet’s re-emergence marks “the development of our friendship as a band and the greater sense of purpose we all have in our lives” is borne out in an exciting album which I’ve repeatedly enjoyed over the past few weeks. Released on 17 July 2015, Flow is available at Bandcamp as download, CD or 140gm 12″ vinyl.